Bernard Madoff's is worth nearly a billion dollars. NEW YORK — Bernard Madoff and his wife had $823 million in assets at the end of last year, including $22 million in properties stretching from New York to the French Riviera, a $7 million yacht and a $2.2 million boat named "Bull," according to a document his lawyers filed Friday. The document, prepared for the Securities and Exchange Commission at the end of last year, was contained in papers filed with the 2nd U.S. Circuit Court of Appeals in an effort to get Madoff freed on bail. Among the couple's assets: a $12 million half share in a plane, $65,000 in silverware and a $39,000 piano. It values their four properties — in Manhattan, Montauk, Palm Beach, Fla., and Cap d'Antibes, France — at $22 million, and the furniture, fine art and household goods in the homes at $8.7 million. But the bulk of Madoff's assets, according to the document, consists of an estimated $700 million value put on his investment business. Madoff said during his plea that the market making and proprietary trading side of his business were "legitimate, profitable and successful in all respects." The couple's monthly expenses included $100,000 for legal fees, $140,000 for personal security, $2,860 for a housekeeper and $885 for a gardener, the document said. 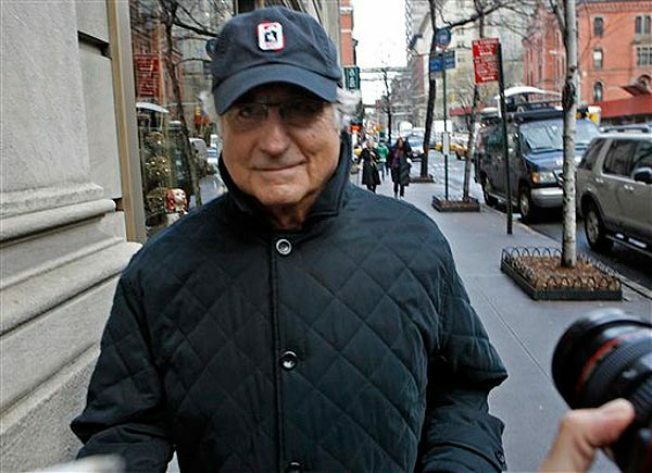 It also detailed more mundane monthly expenditures, such as $700 each for electricity and phones, $370 for cable, $250 for doctor visits and $70 for entertainment at the Manhattan penthouse, where Madoff was required to remain while on bail. Madoff pleaded guilty Thursday to 11 charges, including fraud, perjury and money laundering, in what could be the biggest swindle in Wall Street history. He faces a maximum sentence of 150 years in prison, and the judge immediately jailed him. In arguing for his release, Madoff's lawyers say they would have a difficult time preparing for his sentencing without the ability to see him frequently to review his finances. They say they expect Madoff will be kept in solitary confinement, with limited contact with his lawyers, at the Metropolitan Correctional Center in Manhattan. They point out that Madoff did not flee after his December arrest, even though he "was always cognizant of the fact that he would die in prison." "The reality of a life in prison term is not a recent revelation to Mr. Madoff, but an inevitability that he has been aware of since his arrest, if not earlier," the lawyers wrote. An appeals court will hear the case Thursday. Thus far no one else has been implicated in the scam, and it could be a while before anyone else is arrested and the full extent of the swindle comes to light. On Thursday, Madoff took all the blame for his fraud and tried to create a wall between himself and his family. Given the size of the paper trail — a $65 billion scam, 5,000 victims and monthly statements going back nearly two decades — experts say it could be six months to a year before charges are bought against any accomplices. The FBI has refused to discuss the status of the investigation. But experts say it's certain that Madoff's closest relatives and associates are high on authorities' list of people who may have known what was going on. Among those under scrutiny is Madoff's wife, Ruth, who withdrew $15.5 million from a Madoff-related brokerage firm in the weeks before Madoff's Dec. 11 arrest, including a $10 million withdrawal on Dec. 10. Passing references to Ruth Madoff during her husband's guilty plea Thursday drew laughter from a mocking audience of investors still bristling over a disclosure several weeks ago that she wants to keep $69 million in assets, including the couple's $7 million Manhattan penthouse. In addition, she faces potential civil litigation as a result of the collapse of her husband's financial empire. Her lawyer has declined to comment. Also on investigators' radar is Madoff's 63-year-old brother, Peter, who was instrumental in building Madoff's investment firm. In the days following his brother's arrest, Peter Madoff helped regulators examine the company's books, his lawyer said at the time. But the brother resigned about a week later and, like the rest of the family, has never spoken publicly about the case. Bernard Madoff's sons Andrew, 42, and Mark, 45, also worked for their father in a trading operation he has insisted was legitimate and separate from his fraudulent investment advisory service. The sons, who shared their father's extravagant lifestyle, also have denied any wrongdoing through their attorney. The lawyer has called them victims of the scheme and claimed they had "no access to overall financial information about their father's firm." Besides the family, investors have questioned the role of Frank DiPascali, chief financial officer of Madoff's money management business. A lawyer for DiPascali declined to comment on Friday. Lawyers for the brother and sons did not immediately return telephone messages. 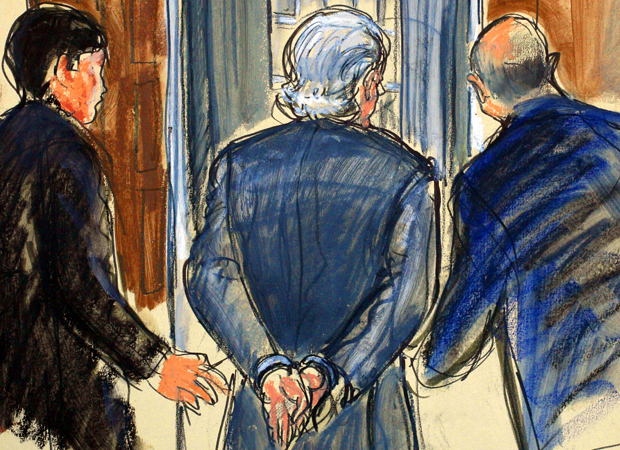 So far, federal authorities are believed to have spoken to several clerks who handled some of the voluminous paperwork Madoff admits he fabricated, including tens of thousands of fake account statements.